Visit Jen at Teach MentorTexts and Kellee and Ricki at UnleashingReaders to see what they've been reading, along with everyone else who link up. Sheila at Book Journeys began this sharing, and it's now hosted by Kathryn at The Book Date.. I can see why others might speak of this story as a little slow. There is a build up to the end, but really no exciting crisis requiring action, except in the hearts of the boy, Aref and his grandfather, Sidi. Aref lives in Muscat, Oman, on the edge of the Arabian Peninsula and is moving to Michigan in the United States with his parents who will be spending the next three years studying for their doctorates. And Aref, about ten, has to leave his home, his room, his cat, Mish-Mish (meaning ‘apricot’), his school, his city. He doesn’t want to. The biggest thing of course that he will miss is his grandfather. The book shows the days before departure as Aref and Sidi spend time together on little adventures, like driving out into the desert to the Night of a Thousand Stars camp, and visiting the beach where sea turtles lay their eggs. Nye sets the tone of learning with Aref explaining that the goal in their family is to learn something new every day, and woven in between the other experiences, the book shows handwritten notes of what was learned that day, like about turtles, Martin Luther King, and possible birds to see on their camping trip. A second thread holding the story is that within each time together, Sidi finds one special rock, explaining why it will help him remember that time. The culture is woven into the story also as Aref says his goodbyes to the traditions in his city, like the calls to prayer. Loren Long’s simple illustrations as the seasons move from summer to fall to winter, and on to spring, and Little Tree hangs on to his leaves. One can imagine some child hanging on to childhood, from young to older. I’d love to have read this to my middle school aged students, wondering if some would admit they would still love to hang on to their toys just a bit longer. Or for the younger children, imagining a tree not understanding that trees might just want to keep those leaves, connecting to the feelings of some kind of loss. It’s a simple and beautiful story. I loved reading all the details of how engineer and inventor George Ferris persuaded the 1893 World’s Fair Committee that he could build this amazing thing that no one had ever built. And he would make it the tallest, and he would make it safe. Just imagine, for those who had not climbed a mountain, there was no way to get a view from very high except from a building. At that time there weren’t many what we now call skyscrapers. Many, many people and parts were gathered to get this accomplished. 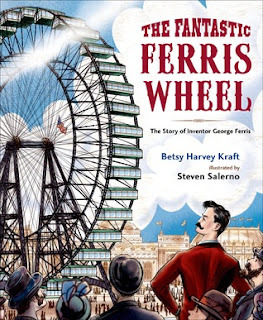 Great story, told well in the text and in the gorgeous illustrations filled with views of the fair, the look of the buildings and the people, and of course, many pictures of the wheel. This picture book seems nearly like the dancer herself, a fairy tale look for a fairy tale. 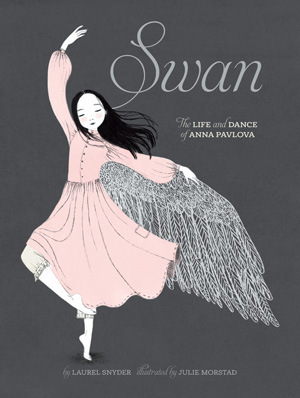 Anna Pavlova grew up poor, the daughter of a laundress, but one day her mother took her to see a ballet performance, and she was transformed. Finally, after waiting two years, she was admitted to the ballet company. Skinny and underdeveloped, she still thrived and became what many think is the greatest dancer of all time. Her story is told by Snyder as if she was really there, living Anna’s life. And Morstad’s illustrations fill the pages with the magic of ballet and of Pavlova. At the ballet: “Her feet wake up! Her skin prickles. There is a song, suddenly, inside her.” It’s both a story of a gifted person in history that many of us seem to know, and one of sadness because she died so young. I love this book, just right for young children who don’t know very much about birds. Piece by piece, Lizzy Rockwell tells the tale of the puzzle that is a bird. What makes it, and how that works. Beautiful pictures of so many birds, and a few animals who aren’t, help explain the necessary parts. Next: I have Ruth Sepetys’ Salt To The Sea from Net Galley, excited to begin! Special News! Three people mentioned they would like to win the farm Christmas book giveaway that I shared last Monday. 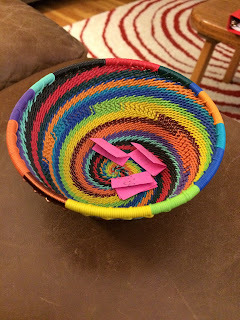 Here is the basket with the names (old-fashioned way), and here is the winner. If you will contact me with your address, I’ll send it on to the publisher. Congratulations, Jane Heitman Healy! 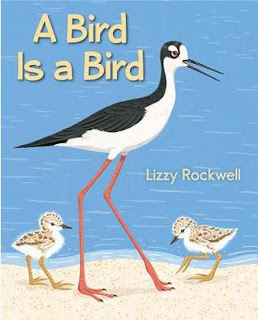 I also love A Bird is a Bird Thinking it would be a wonderful mentor text - going to try it as inspiration with my class in the spring. It really is a wonderful book. Glad to hear you like it, too, Carrie. I liked the turtles fact in each chapter. Yeah, it was a bit slow for me. I know that it would be slow for some, Earl. Each book isn't for everyone. The writing is so gorgeous in Swan. I loved it. Turtle has been on my TBR for over a year now. Really ought to get to that! Slow starts are challenging for me these days. I feel like I don't have the attention span and focus I used to have or that I usually have for reading. I did love Swan, don't know why I took so long to read it, but there are many this year that I've so loved. Turtle of Oman definitely isn't for everyone. Sometimes I struggle with some too. Yours is the second I've read about Swan today. It sounds breathtaking. 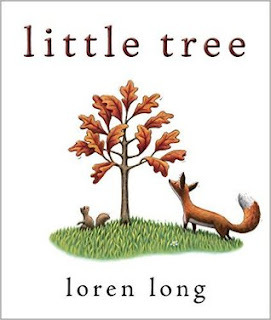 I also want to read Little Tree (my daughter is hanging onto to me reading her bedtime stories as she looks toward college next year. It sounds like the perfect book for her now) and Turtles. Little Tree does sound perfect for you and your daughter, Kay. It's a very sweet book. I read the Turtle of Oman. Yes, slow. I prefer Naomi Nye's poetry to her prose. There were moments of beauty, but I don't think I could sell it to my students who want action. I missed out on getting Swan at NCTE, but it's on my list. Hearing Laurel Snyder talk about her passion made me want to read it. I think the Ferris Wheel won an NCTE award. Thanks, Margaret. Hope you will get a chance to read and "see' Swan, too. Yes, I definitely agree about The Turtle of Oman being slow. I was also a tad disappointed that the story never actually took place in Ann Arbor since that is essentially where I'm from and I would have loved to read about Aref acclimating to life in Michigan. But what I DID love about the book was that it showed a young character with a quiet, peaceful existence in the Middle East. Definitely a counter-narrative to what we're used to hearing. Yes, it was a nice look at a middle east family. I wonder if she thought about a sequel, Aref in Michigan? There's something to be said for quiet, simple books - action-packed or gentle, slow or fast-paced, readers of all ages can need different books at different times in their lives, and I'm glad we have such variety to offer young readers today - there really is something for everyone! Agreed, Jane. I know a few students in the past who may have liked this book, and the times between grandson and grandfather. Thanks for your perspective, too. My class received Swan in a package of new picture books sent to us by Sophie Blackall. 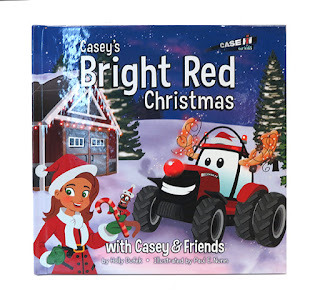 It is a gorgeous book and very popular with several of the girls in my class. The illustrations along with the text are simply wonderful. How wonderful for you and your class. So nice of Sophie Blackall. It is a lovely book! 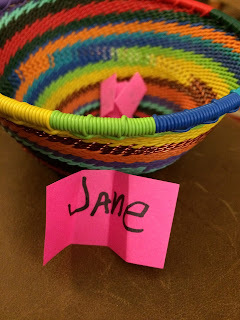 Thanks, Jana. Laurel Snyder gave such a wonderful presentation at NCTE that Swan is now on my radar, a book that may not have been otherwise. Glad you enjoyed it! I've heard others tell about her presentation. Wish I could have heard it. Hope you'll find Swan soon! I loved, loved Little Tree. I agree that the book is simple but quite beautiful. I had a difficult time reviewing it because I couldn't quite capture the magic of the book. 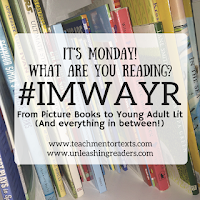 I wanted to write, "Just read it!" I hope you have a great week! Yes, it is one to own, I think, Ricki. Thank you. I hope your week is good, too. I've started the Sepetys book and it is wonderful. 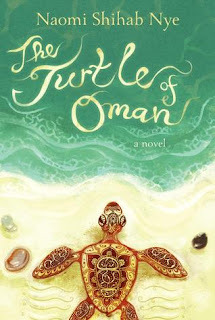 The Turtles of Oman reminded us of Journey by Patricia Maclachlan - Such an important book! We can't wait to read Swan - Everyone keeps writing about it and we haven't gotten our hands on it yet. Hopefully, it will come in from the library over vacation. Yes! I had forgotten about Journey. Thanks for reminding me, maybe time to re-read? Enjoy Swan! I just read Swan yesterday and fell in love with it. I've been looking forward to reading Nye's Turtle of Oman - I think her lyrical and slow-paced writing would benefit from a more dynamic book cover, but that's just me. I've had The Turtle of Oman for a while, & so don't remember why I bought it. There must have been a good review, or I bought it because it was by Naomi Nye. As you see, I liked it, but really am not sure what student I might recommend it too. Yes, Swan is beautiful, must be a special gift for young dancers! Thanks, Myra.